Art is the means we have of undoing the damage of haste. It’s what everything else isn’t. When I discovered Sieglinde (Sissi) Shattuck’s art, I found a place of quiet attentiveness, leisurely breathing space, respite from a hasty, noisy world. Because her paintings moved me so deeply, they made me curious about who she is. One thing leads to another, our shared passions for art, music and inspired living led to friendship and shared meals. Recently, Sissi introduced me to a work of art in cuisine, the traditional Austrian dish, Zwetschkenknödel (Plum Dumplings). Viewing art is inseparable from my knowledge that what I’m enjoying is made by artists. When I respond to art it’s because I feel an attempted connection, an effort at communication–human to human–that breaks through loneliness and isolation. It says something to me about our shared human experiences. 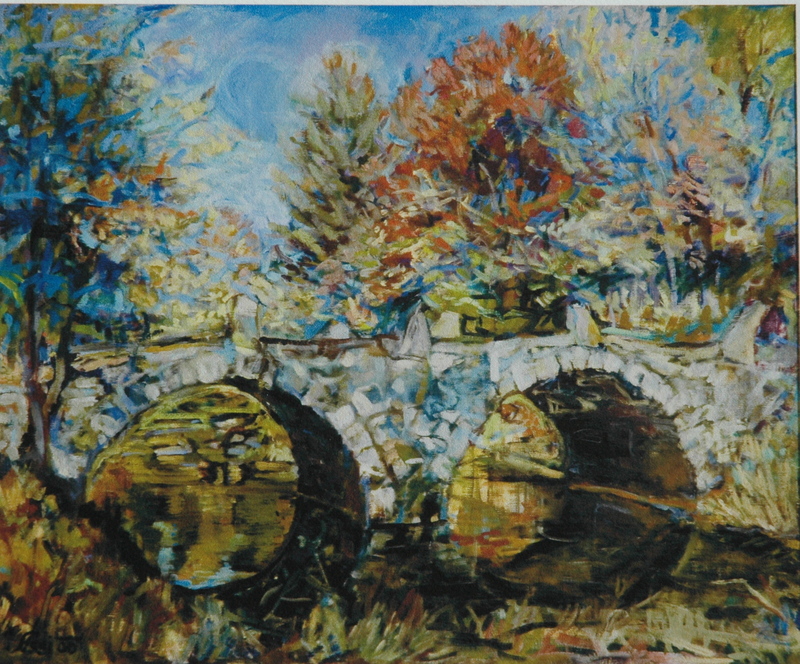 Sissi Shattuck brings a lifelong commitment and rigorous formal training to her art. She was born in Austria, and received her education at the renowned Academy of Fine Arts in Vienna. 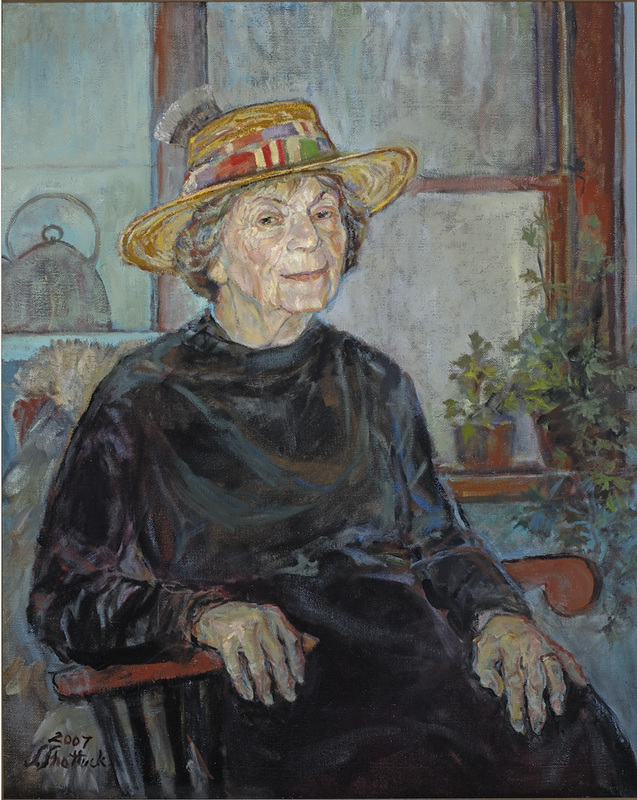 She also studied with Oskar Kokoschka who compared one of her paintings to Stravinsky’s ballet Firebird–a breakthrough piece of vibrant intensity. Of course she was flattered, but only later did she understand the depth of the burden that praise of this nature brings with it. When a renowned Master notices a person’s work this way, it also designates a burden. A gifted person is called to responsibility and has a duty to make the most of her talent. 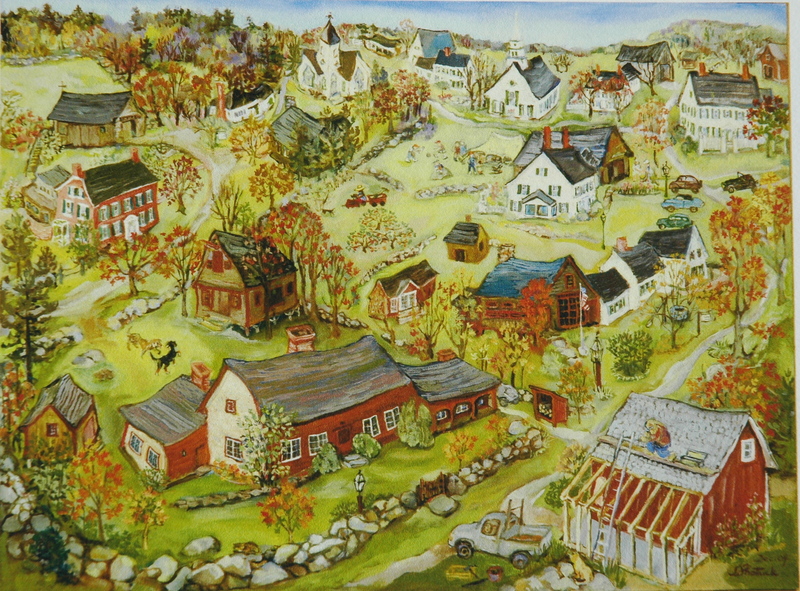 Today Sissi lives and works in Hillsborough, New Hampshire, where she paints mostly portraits and landscapes. Her desire is to recreate in the beholder the transcendental content which only that form can contain. That’s the kind of heady philosophical stuff that cannot be put into words. It’s something one can only understand through seeing. So it makes sense that her medium is painting–visual art. In getting to know her, I discovered that while her art inspires me, her presence in the world, as a living, breathing, caring person, is even more valuable to me (and to many people) than her art. Through her excellence she sets a quiet example that one must always strive to do and be one’s best. She has also shown me that it is possible to be committed to something as grand as art, and at the same time keep an open heart to the duties and the joys of daily life, family, friendships, and community. When a person makes time for other people’s needs, one’s own fame and fortune take a step into the background. But I’m not impressed by “great” people, when they have achieved their success by trampling, exploiting or neglecting others. She has a substantial body of work in her life, but not at the expense of a life lived with compassion and generosity. And her way of life, as far as I’m concerned, is part of what makes her art great–her spirit shows in her art. To go to her website and view more of her art, click here. Her art making isn’t all-consuming. She finds time to be attentive to her family, her friends, and her community. She has shared her garden, her terrific cooking and her music with me–she plays piano, harpsichord, recorder and sings beautifully, and contributes that talent, too, in community performances (most recently, this past Easter season, she sang Bach’s aria Erbarme Dich from St. Matthew Passion). She possesses an enthusiasm for all of life that inspires me as much as her art does. One day in her kitchen we visited while she fixed dandelion salad and told me the secret place where she forages for mushrooms (I’m not telling!). 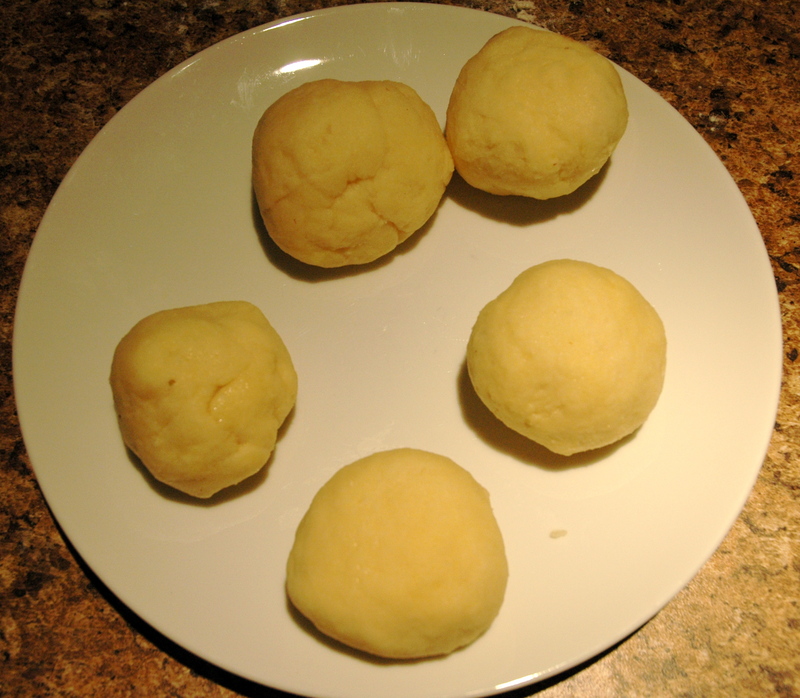 Last night I made, from her recipe, the traditional Austrian dish, Schwetzkenknödl–plum dumplings. 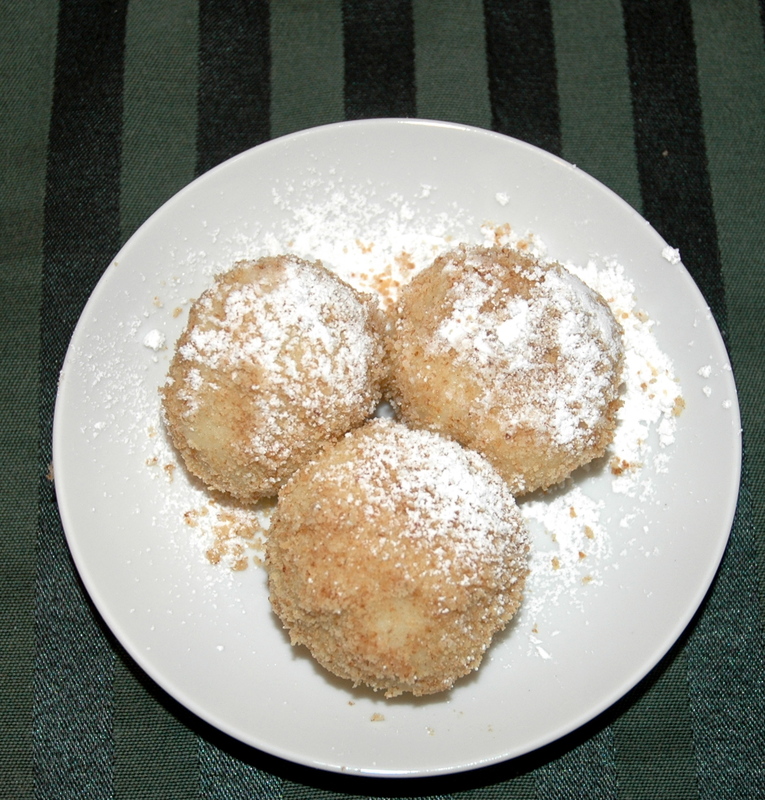 Her father told her that when the WWII POW’s finally returned home from Russia, in 1947, when they crossed into Austria, the first thing they requested was Zwetschkenknödel. Now that I’ve tasted them, I know why. She has been making dumplings since before the soldiers returned, when she was tall enough to reach the table. She suggested I try filling the dumplings with strawberries (now in season, while plums are not), and they were stunningly delicious. They’re a little fussy–but fun. Don’t make these, don’t do anything artful, when you’re feeling hasty. Slow down. Enjoy the process, and the opportunity to make something that transcends the ordinary. 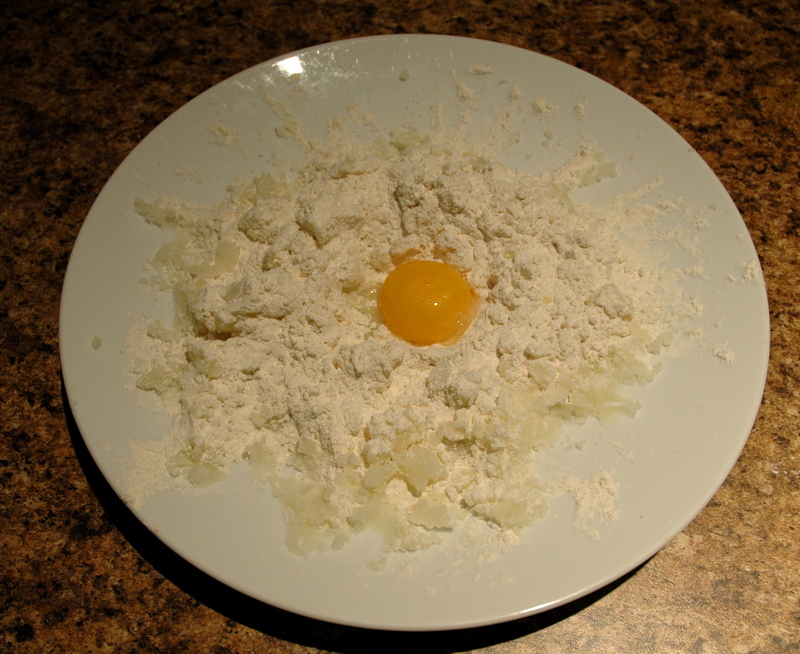 Potatoes cooked, mashed and cooled, sprinkled with flour, topped with egg, ready to knead together. 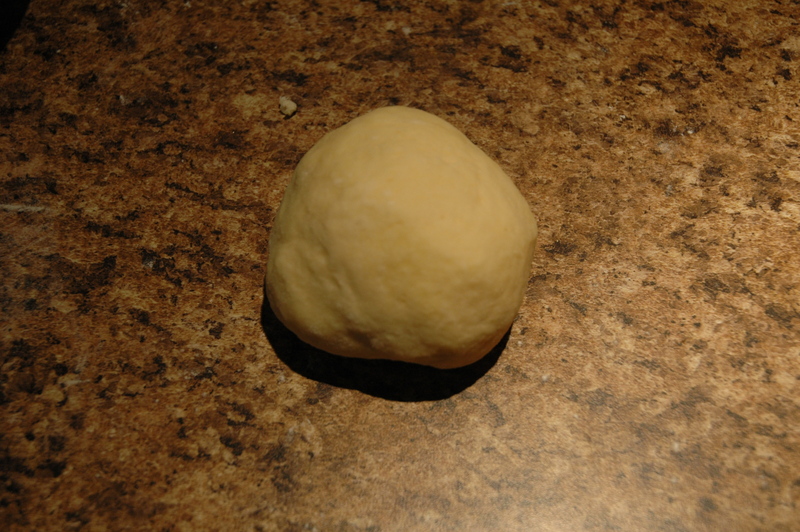 Dough is kneaded until it sticks together. 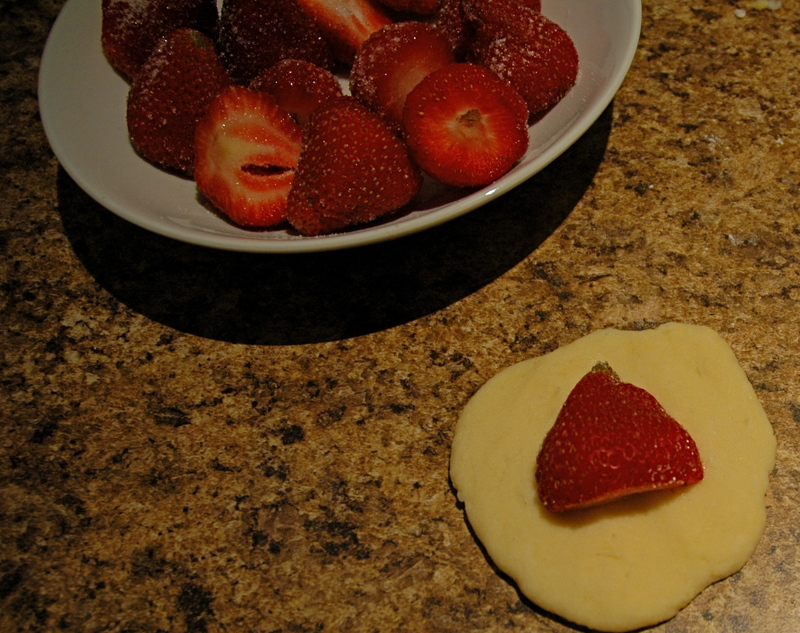 Mold the dough around the fruit (I used strawberries because they’re in season, but plums are traditional). 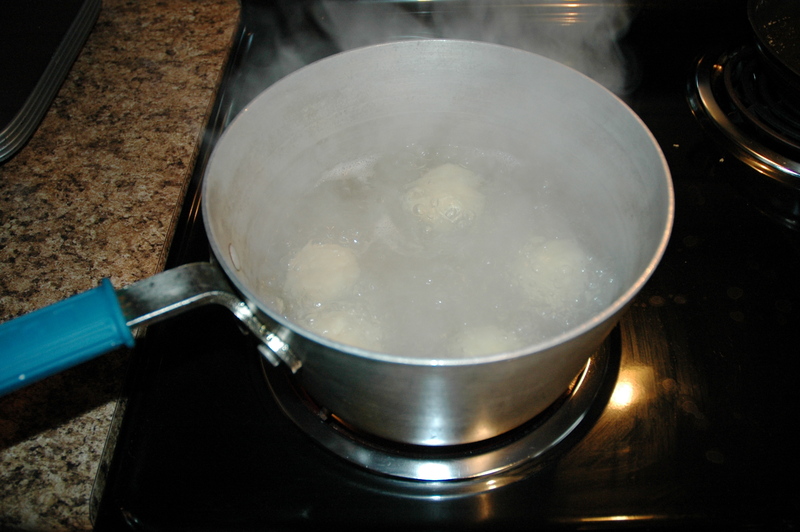 Simmer the dumplings until they float (5-10 minutes, depending on size). 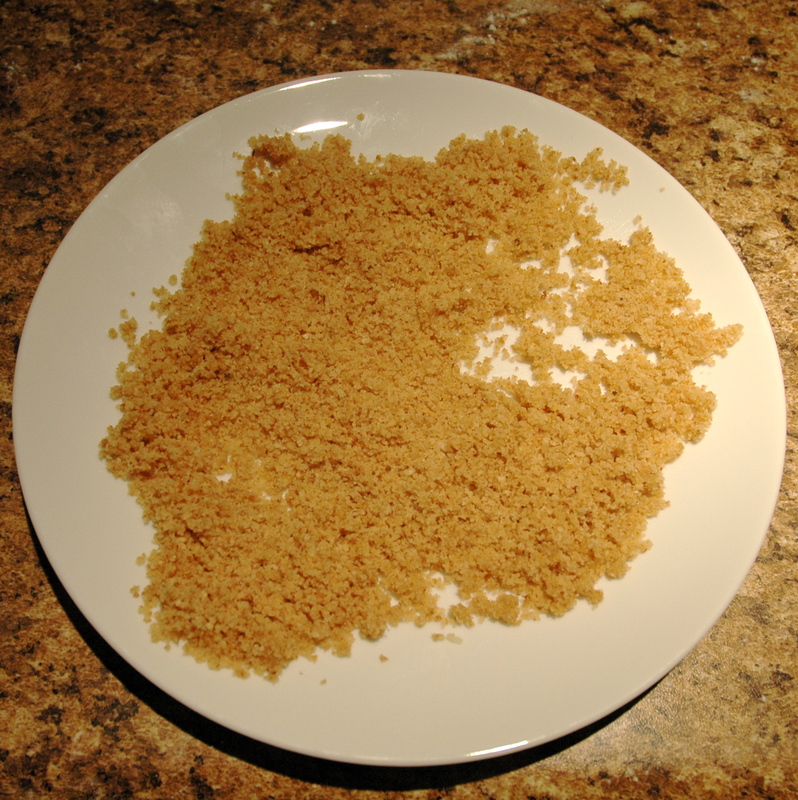 I browned the breadcrumbs in butter in a pan (a few shakes, a couple of minutes). Roll the cooked dumplings liberally in bread crumbs. Sprinkle with powdered or granulated sugar, and serve immediately. Next postSmiles–when you can’t muster them, make them!